A few weeks ago I spent one Sabbath day looking over journal entries from 1998. It was eye opening to relive the events of that year from the perspective of my relationship with God. I was amazed to see how far I had come, even more so amazed at how far God brought me during the past 15 years. It gave me another opportunity to thank and praise God for His faithfulness over these years! Journaling has been part of my Personal Worship time for nearly thirty years. Back in the “olden days” I wrote my journal entries on spiral bound notebooks (I have a whole stack of them). I now write on my digital journal (aka, my computer). But whether digital or hard copy, journaling has been one of the most powerful spiritual disciplines in my life. Journaling is an extension of my prayer to God. 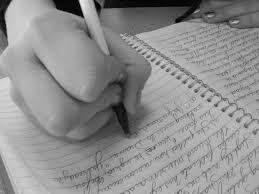 I write as if I am writing a letter to God. Sometimes I share events and experiences. Sometimes I share reflections from Scripture. Other times I just muse about things ranging from the very mundane and practical (like fixing a door knob) to the very deep and theological. Most of the time, I share my heart and my dreams. Often while journaling, God will touch my heart. Sometimes when that happens, I feel one with God. My fingers fly over the keyboard in such rapid succession that it is like I am out of my body. I can just close my eyes and type, and the passion of God is written on my computer screen. Sometimes when I journal, there is just a blank screen. I don’t have much to say. I don’t sense God speaking to me. Sometimes the silence in my heart and my mind speak louder than if I had words to type in. I’m learning to be okay with that. There’s always something to learn from Personal Worship time with Jesus. But the most amazing thing about journaling is that it captures a point of time in my life. It’s kind of like thousands of time capsules of my life with God. It chronicles the journey we have been on together. I can reminisce, I can review, I can reflect, I can redirect. Mostly I remember. God has been good and strong. He has been brutally honest, but loving. There are times He’s taking me to the shed and given me a well-deserved whupping. And there have been times so tender and intimate, that my heart can barely contain it. And it’s all in my journals. Not everyone enjoys journaling, but I highly suggest the habit. I’m a writer and a communicator so it kind of fits my personality. But it’s always good for all of us to be able to look back. Even the Patriarchs set up stone memorials (“Ebenezers”) to remind them (and future generations) that “God and I were here together.” I think journaling is a great way to capture our history with God.